Alberta’s new “vote anywhere” legislation shouldn’t prevent CBC’s decision desk from calling which party will form the next provincial government on election night. Alberta's new "vote anywhere" legislation shouldn't prevent CBC's decision desk from calling which party will form the next provincial government on election night. "I don't anticipate it to be a problem, unless we get a riding that's really, super close," said CBC's senior producer of election coverage, Bob Weiers. For the first time this election, Albertans were able to cast advance ballots at polls outside of their own riding. Those votes, as well as special ballots, will begin to be counted the day after the election. But CBC's analysts won't need to wait for official results to make their call, Weiers said. The team uses a number of tracking methods to determine when the winning party can be announced. "We never make any calls without seeing some results," he said. "But in most cases, we don't need to see all of the results to make projections." 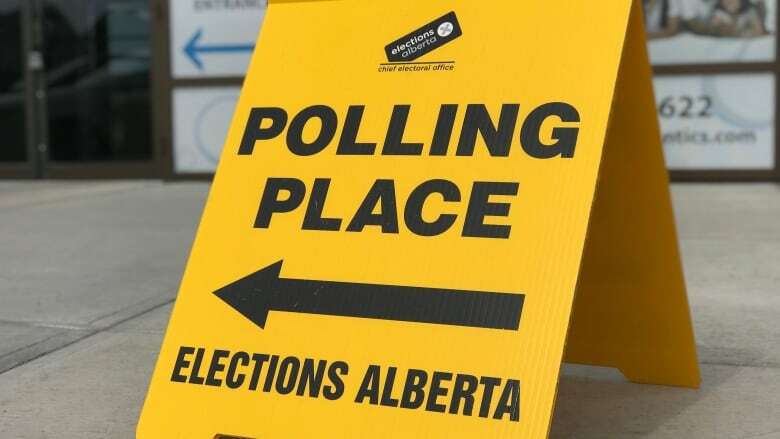 "We can't count anything until 8 p.m. on election night," said Pamela Renwick, director of operations and communication with Elections Alberta. "Once the polls close is the first time we can open any ballot boxes." In Alberta, ballots are counted by hand. The large turnout at the advance polls may slow down the process, Renwick said. "There's still unofficial results that are going to be coming out; it's just going to take a little bit longer," she said. Looking at the popular vote is a crucial way for analysts to determine which party will win, Weiers said. "If one party is winning a big percentage of the votes, then it's likely they're going to win in most ridings." The NDP won a majority government in 2015 with only 40.6 per cent of the popular vote, helped by a vote split between the Progressive Conservatives and the Wildrose. That's unlikely to happen again, Weiers said, since conservative voters are now joined under the banner of the UCP. "I think if either party is in the 45 to 48 per cent range, they're into majority government territory for sure." The results in the Calgary ridings will also be an important determinant of which party will win the election, Weiers said. "If the NDP can hold their seats in Calgary, it's going to be a good night for the NDP," he said. "But if the UCP can flip those seats and bring them back into the conservative fold, we'll have to see how far that takes them, but that will probably lead to a change of government." If the NDP loses many seats early on, it'll be another indicator that the party will struggle to hold on to a majority government, he added. "If they're not losing seats, if they're even gaining seats, then that's going to be a result nobody is expecting at this point."